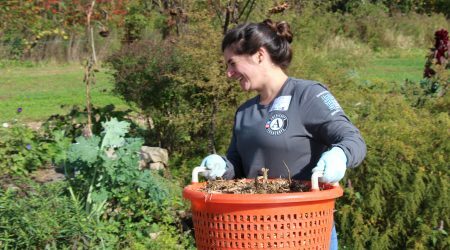 In addition to administering the AmeriCorps program, TerraCorps is dedicated to contributing to nonprofits and community based organizations in Massachusetts that share similar values and dedication to land. 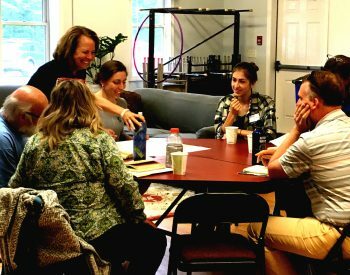 Through the Project Partnership Program, TerraCorps provides support to organizations by helping them build capacity through mobilizing volunteers, expanding outreach, supporting fundraising efforts and more! Below are completed projects that have resulted from a partnership with TerraCorps, check them out to get ideas about starting a project and feel free to propose one of your own! Terracorps-AmeriCorps members and staff regularly come together to serve on common volunteer projects known as service days. 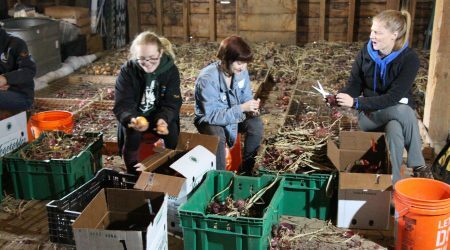 These day-long events accommodate many volunteers and are designed to make a big impact on a project or organization in one day. 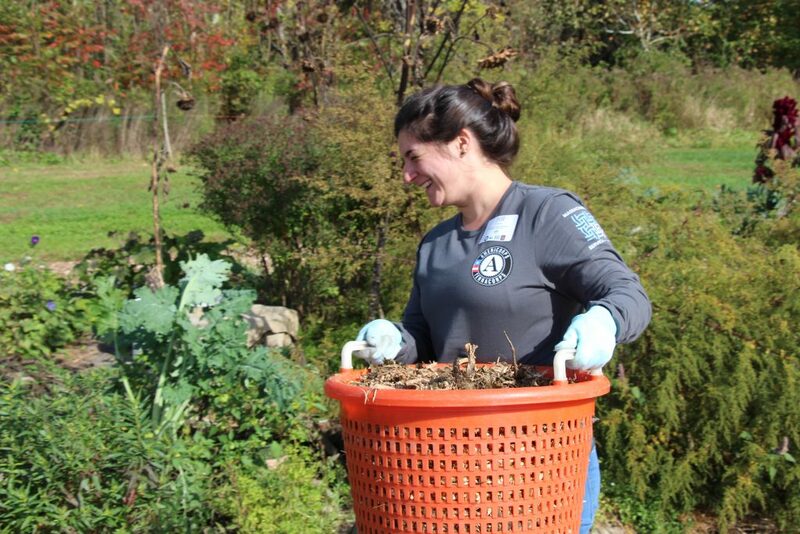 During our service day at Just Roots community farm in Greenfield MA, service members and staff helped with various outdoors task around the property. 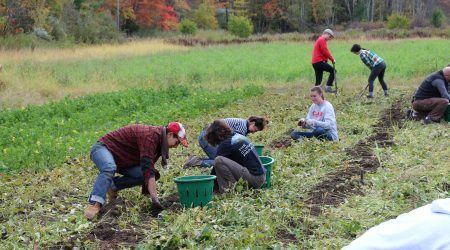 The group broke into teams to weed and mulch, harvest potatoes, prep and clean vegetables for markets, and clear strawberry fields. The service day at Mill City Grows involved clearing a quarter of an acre of the urban Fowler Farm from dense weeds and fallen trees. 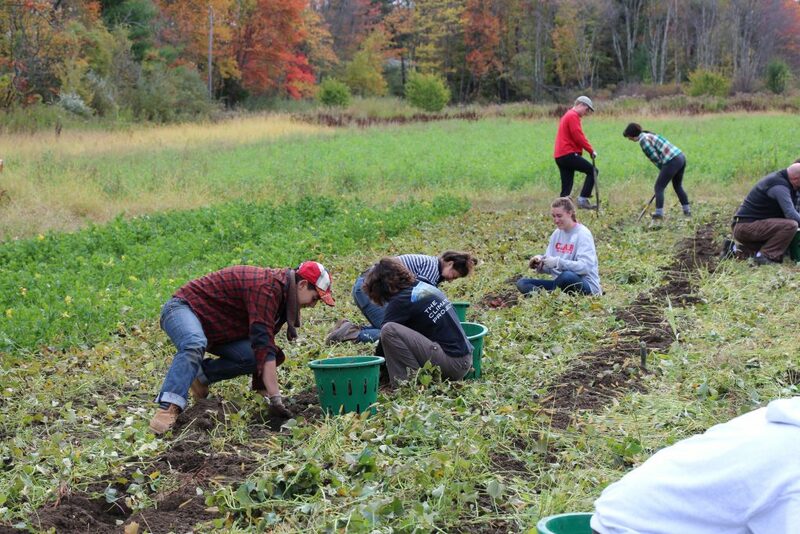 Once an unmanageable section, the space is now free to use for more sustainable agriculture. TerraCorps helped the Buzzards Bay Coalition carry bog boards to be set down in designated wet land areas and widen a trail on a newly acquired property in Fairhaven, MA. The Project Partnership Program allows TerraCorps to support organizations with similar missions and visions through partnering on projects, initiatives, and events. By collaborating with TerraCorps, we can help increase your expansion of reach and mission in your designated service area. Outreach can be done through various means including setting-up in person meetings, creating materials, reaching out to targeted audiences, or presenting workshops at various conferences and events. 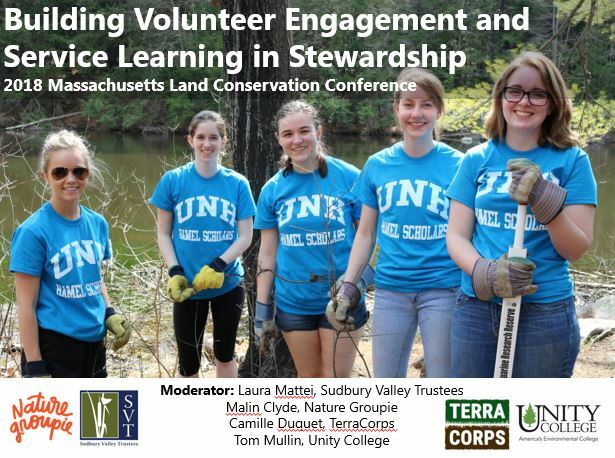 Along with other key influencers, TerraCorps led the outreach efforts of this online resource based out of the UNH Cooperative to introduce its usage in Massachusetts. This project involved identifying and targeting key audiences, as well as creating a workshop presentation at a state-wide conference to increase the numbers of users in the commonwealth. 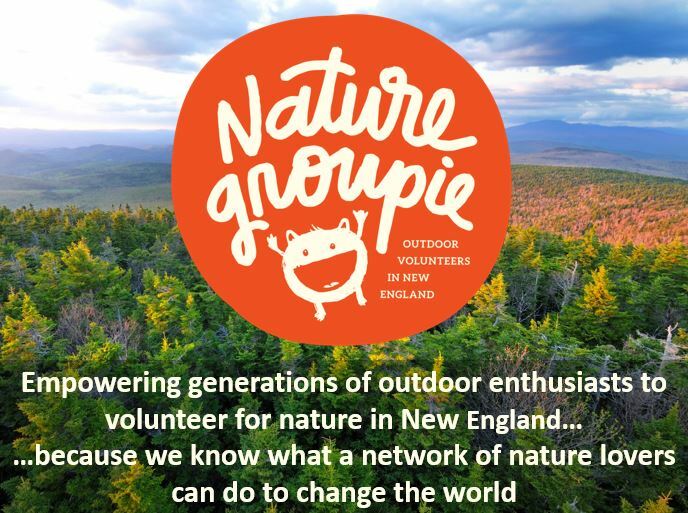 Nature Groupie is an online resource and network for outdoors enthusiast, stewardship volunteers, and organizations throughout New England. Nature Groupie helps recruit and manage volunteers for nature-based events as well as provide training tools and guides for stewardship and citizen science. The Project Partnership also makes it possible to bring together people and organizations that share the same interest and values so they may be resources to each other. This opportunity includes leading the outreach, planning the event, and day-of logistics to make for a successful collaboration event. 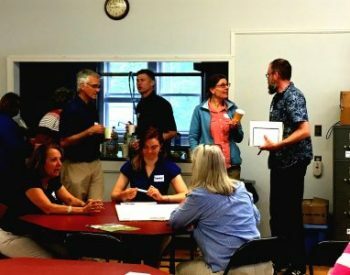 Through outreach efforts and event coordination, TerraCorps organized a regional gathering with grant money awarded to the North Quabbin Regional Landscape Partnership as part of an Estate Planning grant from Department of Conservation and Recreation to help support the work of open space. 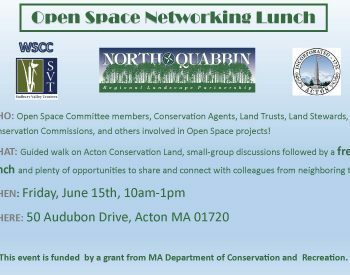 This event engaged municipalities, open space committees, land trusts and other key players in protecting open space. We are always looking for more ways to partner with organizations and communities, use the form below to propose new projects and ideas on how TerraCorps can help you achieve your mission!